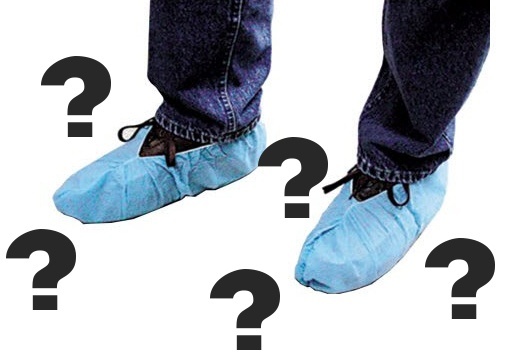 Disposable Shoe Covers for Open Houses: Polite or Pretentious? If it’s rainy, muddy, or otherwise not pleasant outside guests are less likely to be more likely to agree to remove their shoes. Certain states have different norms. In the south and southwestern states with milder climates, shoe removal may be less of a norm. However, in states with lots of rain and snow, it maybe expected that guests always remove their shoes. After asking guests to remove their shoes upon arrival, they’ll instantly inspect your listing’s flooring. If the flooring is in poor shape, guests maybe insulted by the shoe removal request. If your listing has brand new carpeting or flooring, guests may be less offended. Some buyer leads will otherwise be upset when you ask that they wear booties. Sellers are essentially allowing visitors to view their house as their new home. Explain to your client that they should make viewers as comfortable as possible, if they’d like to receive the most offers. When you do provide booties, visitors will take notice of your flooring. If you have brand new carpet, leads may be less skeptical of your shoes off policy. Consider how the visitor may feel, would they want to walk around barefoot or in their socks in a home they don’t know. Provide either booties or a “construction runner” to accommodate viewers. Ask the seller to provide a chair near the doorway, so that guests can remove their shoes with ease. It could be embarrassing for a guest to have to ask for a chair they are unable to remove their shoes otherwise. You are not likely to greet every single guest that enters an open house. Likewise, you cannot always be present for every single showing. Consider a friendly, festive sign to put guests at ease. A sign will also remind guests that other listings require shoe removal as well. This is probably the worse possible solution to asking guests to remove shoes. No one wants to put on a strangers flip flops or socks. Need More Great Advice For Your Next Open House?